Social bookmarking plays a key role in a site reputation; they are the backbones of a website or blog popularity. They not just help you to generate decent amount of traffic to your blog, but also let you engage with your readers and competitors. Unlikely WordPress blogs which has built-in social bookmarking plugins, Blogger CMS and websites hasn’t this feature; we’ve to manually add this functionality. There’re various sites which provides social bookmarking widgets for blogger and for WordPress sites Plugins. As I said earlier, social bookmarking are the backbones of a site, when it comes to Page ranking, search results and marketing. Being a Blogger, Website owner and internet marketer it is important to know the importance of social bookmarking. Here’re the benefits of social bookmarking. One benefit of social bookmarking is fast indexing by major search engines. Such as Google, Yahoo and Bing. When you or a reader of your blog share or bookmark your blog post, then search engine bots crawl them and as a result you get your contents indexed. Not just that, you also get natural backlinks to your website. Social Media helps you to get traffic to your blog or a website. When a user shares your contents across social media sites, you get visitors to your blog. One will argue that isn’t that a wired way to get just a few visitors? Well, the fact is it’s not just a way to get visitors but also to let search engines to index your blog. You get links to your sites which help you to improve your search engine ranking in eyes of Google, Yahoo and other major search engines. Almost every social network -offers the facility to make a fan page for your Brand. As a result you get more exposure and promotion. Thus it helps increase sales. Not just that. If you use social bookmarking widget on your blog or on your website, you also allow other users to share your contents on social networks or bookmark your articles. Which establish more power to your site reputation. Let’s come to our topic and talk about some sites which allow you to add social Bookmarking widgets to your website or to your Blog. Here’s a List of all Social Bookmarking widgets. Is a Mac style social bookmarking and sharing widget having hover effects, whenever a user hover on icon, the icon get larger and the name of social bookmarking site appears, the best thing about sociofluid bookmarking widget is that you can customize it, such as the size of icons and to open the links in new window or same window and more. Offers list of most popular social bookmarking sites, small icons, an effective way to allow users to choose from a variety of sites to bookmark contents. Social list social bookmarking widget can be easily embedded to websites, blogs such as Blogger, WordPress, Drupal and to other platforms. By Default + Share/Save with facebook and twitter sharing icons, but when a user hover mouse 10 social sites appear to share contents, can be expanded if user want to find some other social bookmarking sites. Sharethis provides sharing buttons and social bookmarking plugins to add to blogs and websites. They offer different types of widgets vary from website to blogs. Such as vertical sharing buttons and Horizontal sharing buttons. Supported by almost every CMS, such as Blogger, WordPress , Drupal. The larger one, offers bookmarking, email, IM, and social media sharing add-ons. The best thing about Tell friend widget is that it allows you to bookmark or share contents to various sites at the same time. Before you get widget installed on CMS (Blogger, WordPress, Drupal etc) or on your website you must to create an account at tellafriend.socialtwist.com. Available for Blogger CMS and WordPress, allow users to share contents across major social bookmarking sites. A simple horizontal list of buttons with hovering effects. When a user hover mouse on an icon, it get larger. Allow users to bookmark an article to multiple top social sites simultaneously, Only wire offers two versions. One is free version and other is paid version. Free version has limited features and some restrictions. The paid version has no advertisements while the free version has. 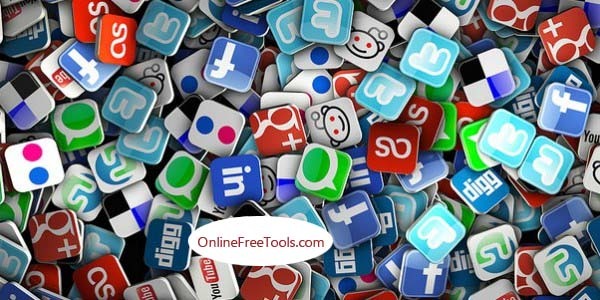 It has a set of 28 social bookmarking sites to bookmark posts. Hovering mouse or clicking on the widget icon the list pops up to chose from. This feature allows your readers to bookmark your post without leaving your website. Moo socialize widget is built with Ajax integration. Developed by Artviper. Most of the Bloggers ignores social bookmarking, just because they might take time? Or they are a lot. When it comes to improving search results and fast indexing, Social Bookmarking plays an important key role in three ways, one is- you get free backlinks for a specific keyword and the second is Search Engine bots see your links there, the third one is you get exposure and social media engagement with your readers. I hope you’ll like some of the Social bookmarking widgets mentioned in this best. Feel free to add to your blog which is best in your mind and suite to your website. Leave me a comment and share your views about Social Bookmarking widget that you like the most. Thank you Sagar for liking. Thank you for sharing your precious words with us. In this we can also make group to get backlinks fast as to depend on outside world to get good backlinks will take a lot of time. Simultaneously you should also remember that a don't provide link on one bookmarking site again and again as it is known as spamming and can get you in trouble. So please take care of it that you post your site link once on one site. I'm glad to see you here. I liked your words. thanks for your precious time and explaining the power of social media and bookmarking sites. actually we should share shorten link on social bookmarking sites. which will help our site links. Glad to hear that. Thanks for stopping by to my blog. Jessie Ford on GetResponse VS MailChimp — Which One Is Right For You? Online Free Tools Copyright © 2019.